Longtime ER partner Pan de Vida shared some exciting news regarding ER’s School Pack distribution program in Quito, Ecuador. Pan de Vida’s Oscar Aguirre said this year the school supplies were distributed not only to Ecuadorian kids, but also included Venezuelan and Columbia children. Most of these kids are currently in Ecuador to escape life-threatening conditions at home. Oscar said additional supporters provided funds to extend the school distribution much further. “In total we were able to help 157 children (Ecuadorian, Venezuelan and Colombian),” he said. “The total cost of the school supply list was $45 (per child), including the hygiene kits that schools now require. We were blessed with a provider and another donor that contributed to the total cost.”We are so very thankful that ER was able to partner with us on this. It was beautiful to see the children excited with their new supplies and the moms with tears of joy,” Oscar added. Would you invest in the futures or kids like these? $33 allows us to purchase the packs/supplies and transport them to the field. $99 will give three kids the chance to stay in school, $990 will provide for 30 kids. If you can help, click here to donate. 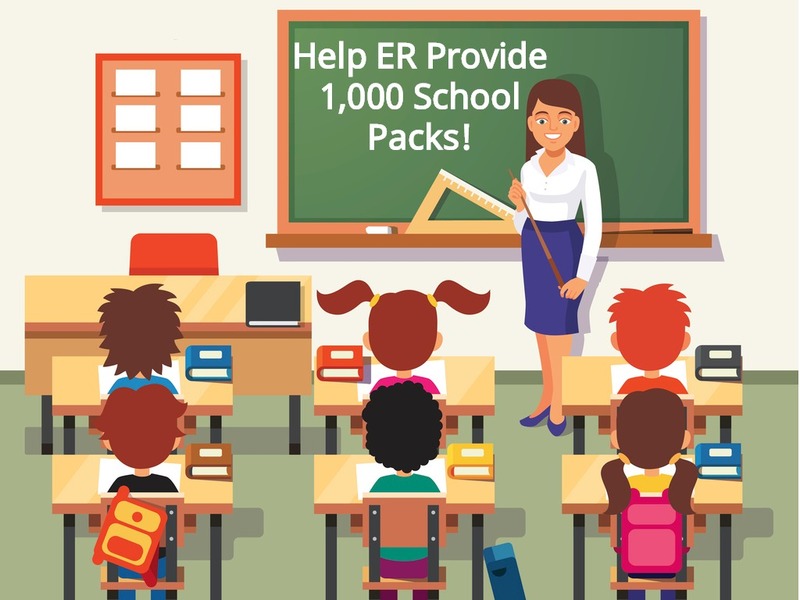 Or, send your check to ER School Packs, P.O. Box 345, Snellville, GA 30078-0345. The staff members of ER partner Youth Mobilization have big hearts for children in greater Manila who get left behind educationally. 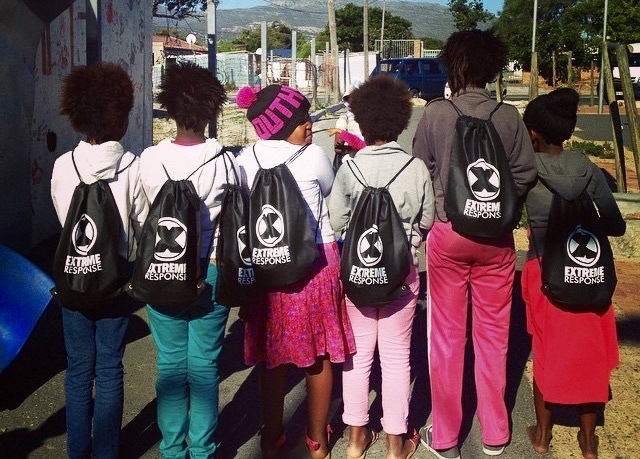 Last week Youth Mob shared “thank you” photos of children who received supplies. Notice the joy in their faces! Youth Mob’s Mackie Custodio said the funds provided through ER allowed them to provide supplies for 100 children in elementary school through high school. 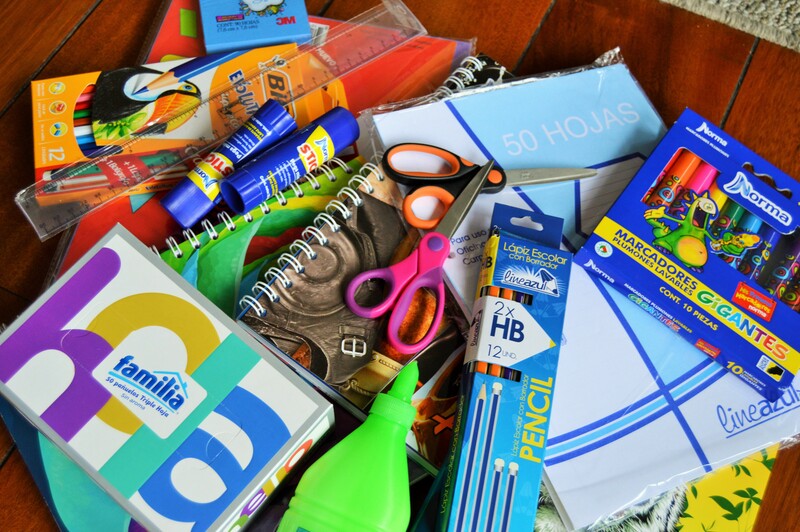 Supplies include bags, shoes, pens/pencils, folders, lunch boxes, notebooks, socks, and more. The school year restarts in June for these children. While school in the Philippines is free, most of the families served by Youth Mob are unable to consistently provide mandatory school uniforms and supplies. In time, many kids end up dropping out of school, which leads to life-long struggles. ER is helping to fill this gap. Our goal is to provide for 1,000 kids with s upplies and/or uniforms, based on their school needs. Through June 2018, we’ve met the needs of 427 students! For $33 each, we deliver School Packs to kids in our programs or our partners’ programs. This is actually a big deal. Having the proper supplies and uniforms allow these kids to meet minimum requirements for enrollment, stay even with their peers and develop the self-confidence needed to live sustainable and fulfilling lives. Together, we can change the outcomes for 1,000 kids! We’re raising funds to purchase school packs customized for each area we serve. 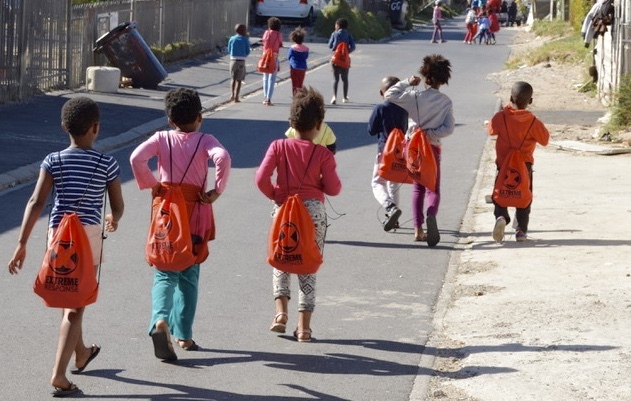 We’re giving packs to kids in the Quito Dump After-School Program, South Africa Dream Centre, Manila Children’s Home and to the children of the families served by our partner organizations. $33 allows us to purchase the packs and supplies and transport them to the field. $99 will give three kids the chance to stay in school, $990 will provide for 30 kids. If you can help, click here to donate. Or, send your check to ER School Packs, P.O. Box 345, Snellville, GA 30078-0345. School Packs to the Rescue: Keeping Vulnerable Kids in School! There is a serious problem in many developing nations. Children drop out of school because their families cannot afford school supplies and uniforms. This lack of education practically guarantees a lifetime of poverty and a lack of hope. We have a plan to solve this problem. It’s simple and very doable. We’re going to provide school packs to 1,000 at-risk kids in several areas we serve. Places Ecuador, South Africa, Philippines, Haiti, Malawi and India. Our plan involves delivering customized school packs (stuffed with school supplies) to these kids though staff, partners, volunteers and work teams. ER staff and leaders have spent much of the last year strategizing on how to create more measurable impact in the work we do. Our conclusion? Providing educational support to families is a top priority. It’s the one thing that can pull them out of poverty and give them a chance to change their situations. When children have an education, they are employable, have self-confidence and enjoy real hope for the future. These children will grow up knowing they can earn a living and help their families. Education is a game-changer for families who previously had no option to improve their situations. The sad truth is that many kids drop out of school in developing countries because their families can not afford uniforms or school supplies. Together, we can change this! We’re raising funds to purchase school supplies, uniforms and packs customized for each area we serve. We’ll be giving packs to kids in the Quito Dump After-School Program, South Africa Dream Centre, Manila Children’s Home, and to the children of poor families served by our partner organizations. It will cost about $33 to purchase the packs and supplies and transport them to the field. $99 will give three kids the chance to stay in school, $990 will provide for 30 kids.